Chandeliers: Antler chandeliers have long been popular in rustic homes, but more elegant options, such as wrought-iron and oil-rubbed bronze, also work really well in a timber home. 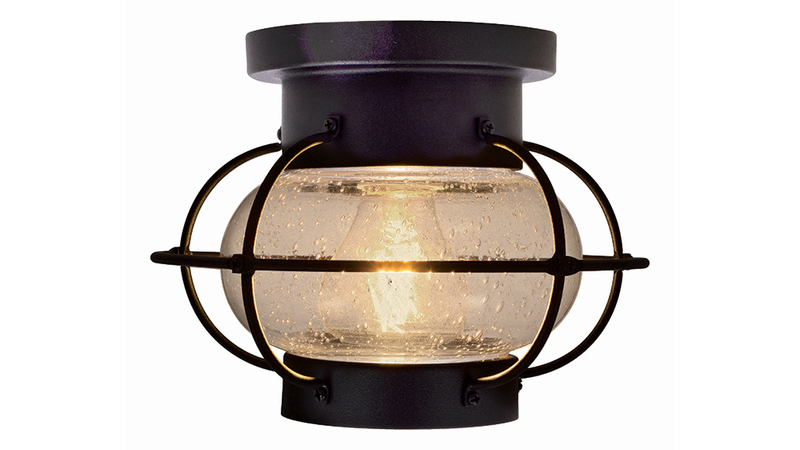 Pendants: Typically found above kitchen islands or in stairwells, pendants can be large or tiny and provide task or ambient light. Track lighting: Incredibly versatile, track lighting shines light where you want it without taking up floor space in the form of side tables or lamps. It also has the advantage of being multi-directional, so you can angle it where you need it most. Lamps: Vintage-style table lamps can provide a classic look while serving up a good dose of task lighting for reading in your favorite chair. The angle of the shade will determine the width of illumination it will cast. Under-cabinet mounts: A must-have in the kitchen, under-cabinet fixtures provide task lighting for food preparation, reading cookbooks and safety. Can lights: Housed in cylindrical structures, can lights are recessed lighting fixtures that are flush with the ceiling and often used for downlighting in living rooms, kitchens and other spaces. Wall washers: Designed to illuminate large, flat surfaces, wall washers can help to visually brighten and enlarge your space. These recessed fixtures often have an “eyeball” of sorts with a housing that moves by hand, allowing you to direct the light where needed. Sconces: Essentially wall brackets that are used to hold some type of light source, sconces can be used for both uplighting and downlighting, depending on the style, but don’t usually cast a significant amount of light.